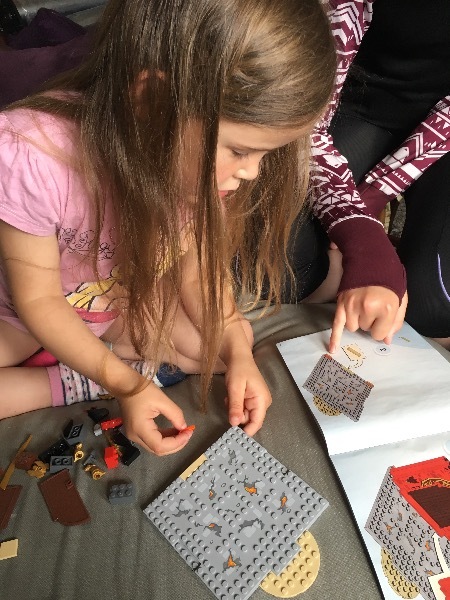 This is the feedback thread for those of you who are testing the LEGO Juniors Ninjago Lost Temple set for us as part of our latest MadeForMums product test. 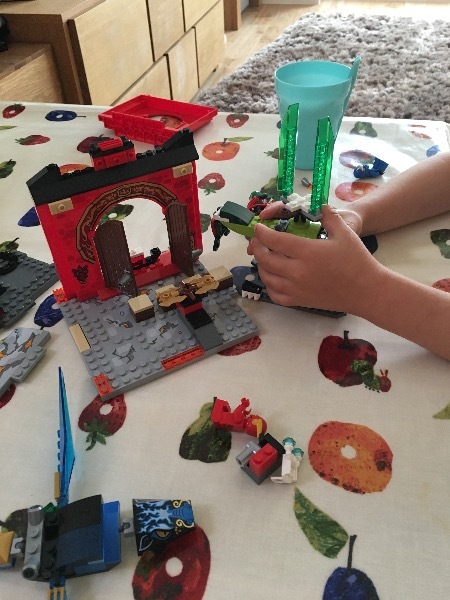 You should all have received your LEGO Juniors Ninjago Lost Temple set by now, and have had a chance to test it out – and take a picture of your child playing with it. 1. How did your child get on with building the temple? When you answer, please tell us how old your child is. 3. 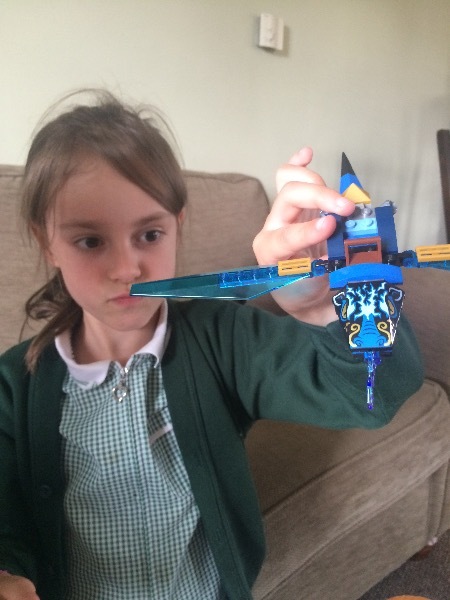 What do you and your child like most about this LEGO set? 4. Would you recommend it to a friend with a child the same age? Thank you so much for your feedback. We hope you've enjoyed taking part in our product test! LEGO Juniors Ninjago Lost Temple (above), £24.99, has 172 pieces, including 3 minifigures, a helicopter and a temple with lava ball, swinging axe, spinning saw blades and the Sword of Fire. 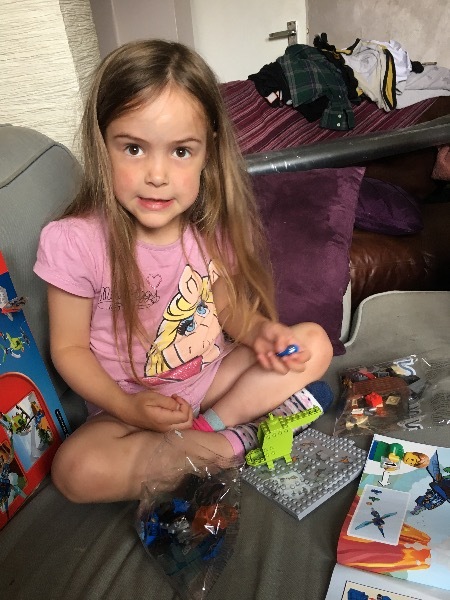 My daughter is 4 and she found the Lego set "ok" to build, she absolutely loved doing it but found some of the smaller bits tricky. 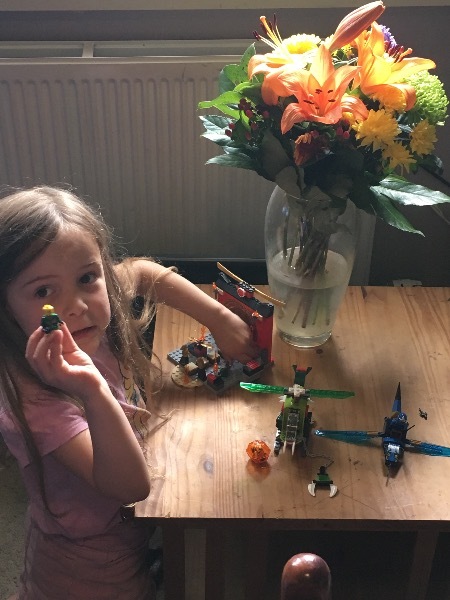 That said, it is the first time she's ever tried to follow instructions to build Lego and a set like this as all her other things are impro sets. 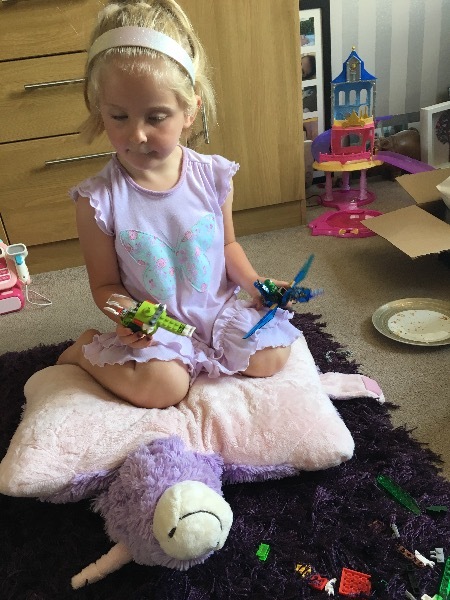 My daughter loved that it was different to the other toys she had and said it was so much fun having a dragon to play with. She loved that the sword goes up and down on the castle and the gold bits spin around. 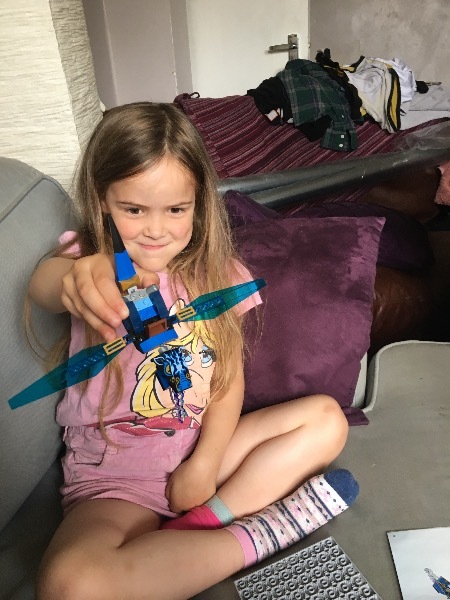 The claws on the helicopter are also a firm favourite and she is adamant she can find a way for the helicopter to kidnap the dragon! i would absolutely recommend it to that age group. 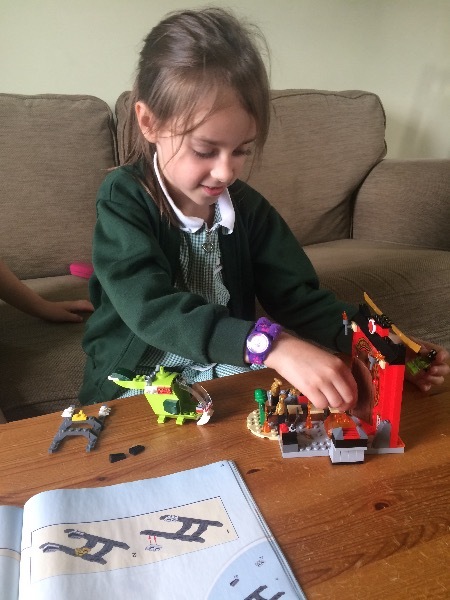 My daughter will be 5 in october so a brilliant age to enjoy building and then playing. 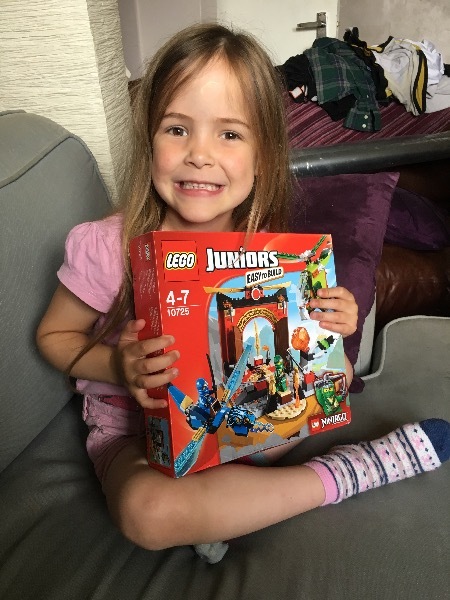 I will definitely be buying more Lego juniors sets to encourage her to read instructions and get something fun to play with at the end. here are some pictures of the build and playing, if you need anything else that I've missed, please let me know! 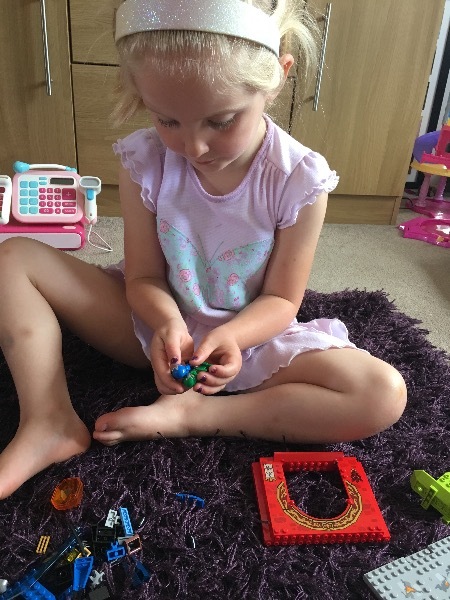 it was lovely to sit down and have her undivided attention and do something together, she usually gets bored after half an hour but we sat and bu it all in one go and played for over an hour!!! My daughter is 6 years old and loved this set. 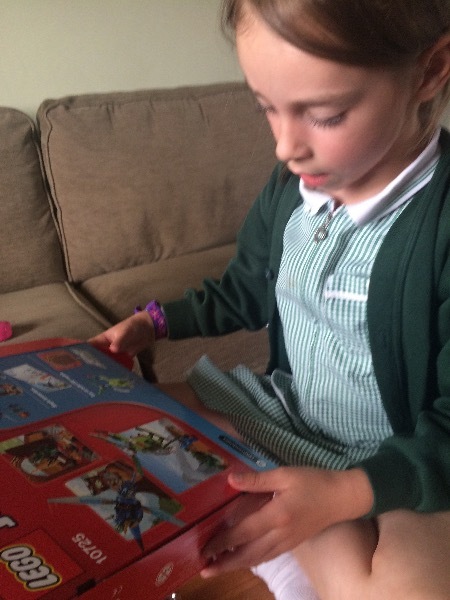 She has built quite a few Lego sets before and therefore found the instructions familiar and easy to follow. It still took quite a long time to build (45-50 minutes without help). Because there are lots of different parts to it her interest continued throughout. The finished set was very playable and she is still playing with it a couple of hours later. 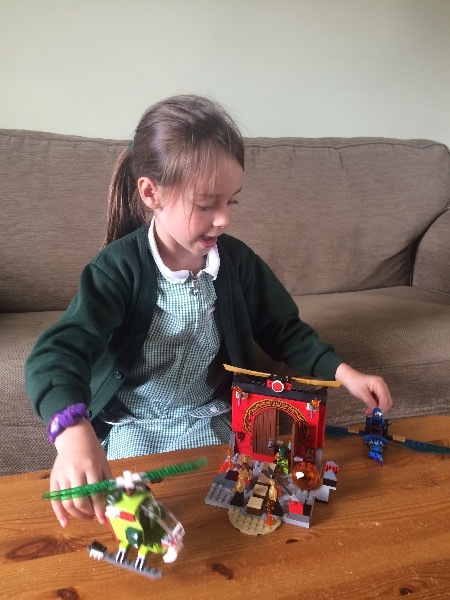 It is great for imaginative play with 3 minifigures, a dragon, a helicopter and the main temple with moving parts including the swinging axe and opening doors. It is full of small details which keep the imagination and interest going. 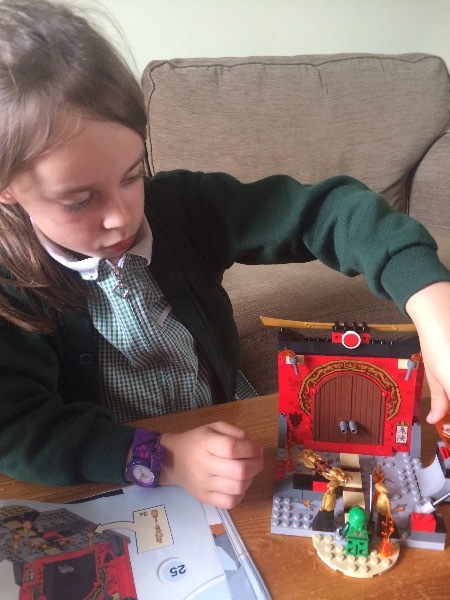 My daughters favourite part has been playing with the main temple and trying to get her minifigure to the temple doors past all the traps in the way! I liked that it was not a gender specific set and would appeal equally to boys and girls due to the detail and playability. I would definitely recommend this set to someone else with a child of the same age. I was originally concerned that as a 'Juniors - easy to build' set it would be very simplistic but this could not be further from the truth. An excellent set. Our first impression of the set was ‘ooh, this looks good’ and we liked the fact there are 3 different items to build. 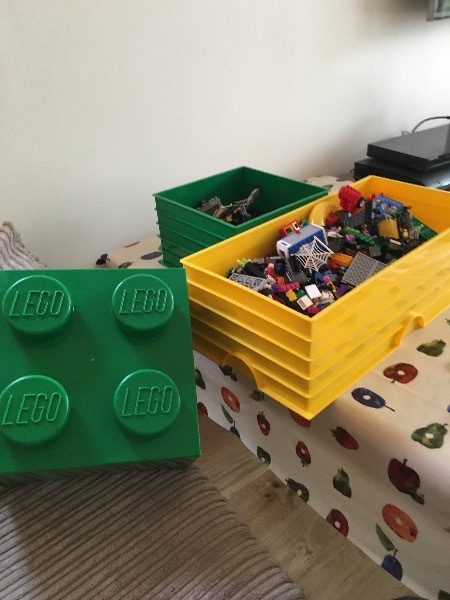 My son is 7 and has not managed to build other sets alone before (admittedly, age 5-12 ones) but managed fine with this, it took him about 40 minutes in total. It was good that some larger items, like the main body of the helicopter were in 1 piece. He really enjoyed playing with it too, especially as it has 3 minfigures, which he loves, and they are very nicely decorated. I think it was a real confidence booster to him that he had completed the set alone. He especially liked the details like the flames, statues and weapons. 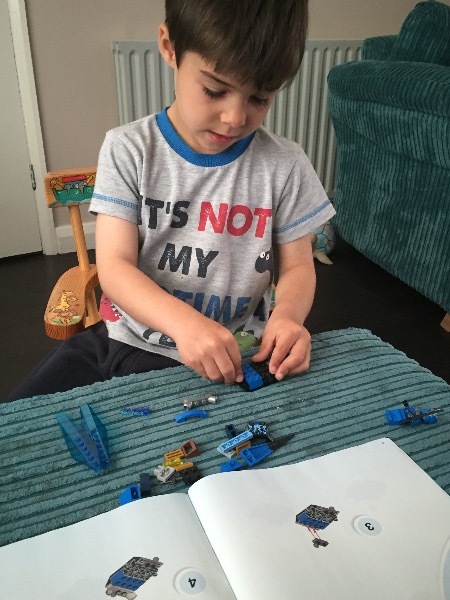 I would definitely recommend the set to other parents, as with all Lego, it’s great for imaginative play. 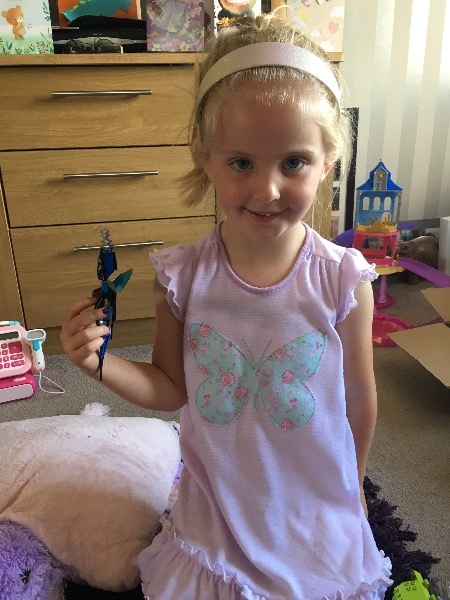 My daughter (6) was very excited to receive her lego in the post. 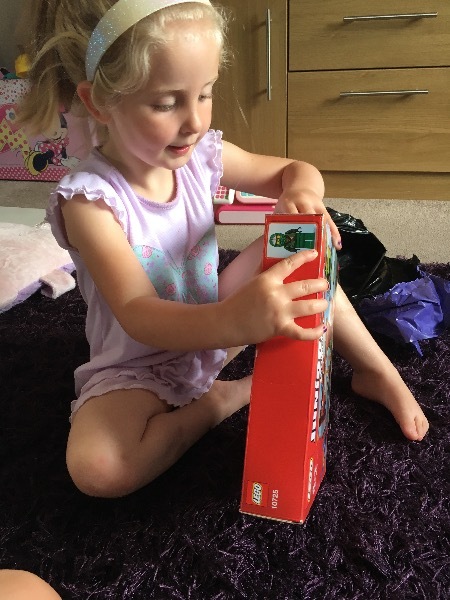 She opened it straight away and wanted to build the whole set straight away. She liked that there were three bags of pieces one for each of the main model components. 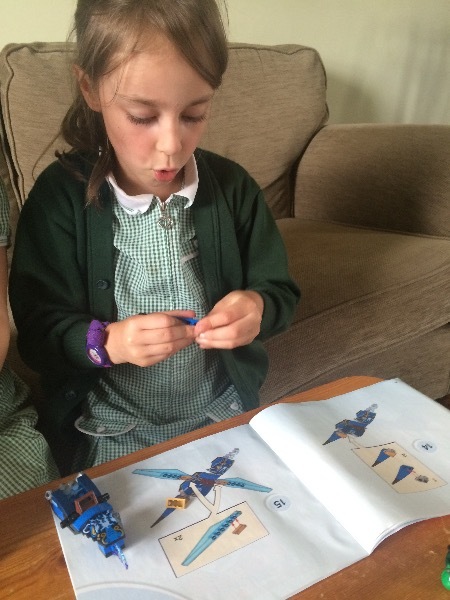 She was able to build the model by herself with relative ease. She enjoyed playing with the finished model with the traps trying to get the ninjas as they were trying to get the treasure. She also likes the dragon to swoop in to help them. 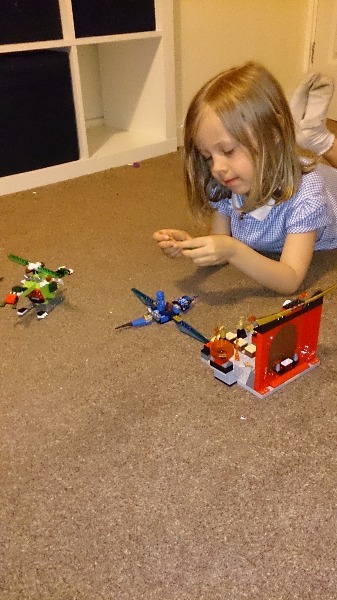 Her younger brother 2 also loves the lego set and is desperate for his turn playing with the dragon and the figures. My daughters favourite part of the model is that it has moving parts making it more interactive, enjoying the building moving as well as moving her figures round the building. 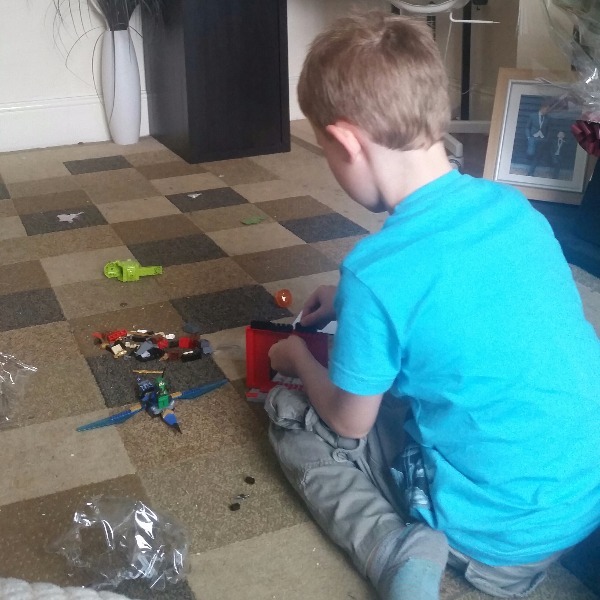 We would recommend the lego set to other children of the same age who are starting to play with lego as it was a simpler set to build and enjoy. My son is 5 he enjoyed building this set but he did need a lot of help from me. 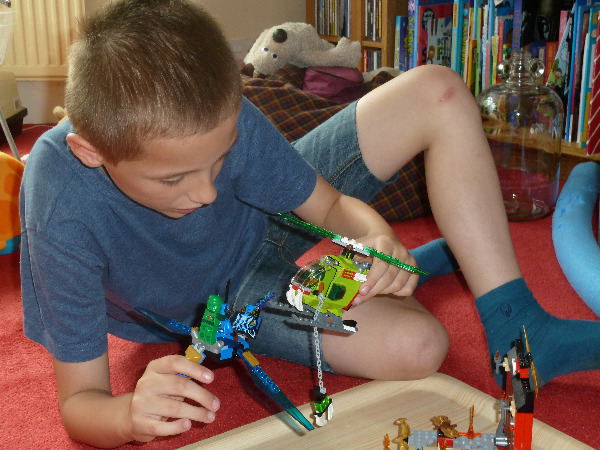 Some of the pieces were tricky to put together, like the daggers in the green ninjas hand - even I struggled to do it. The instructions were clear to follow and the numbered bags is a great idea! My son thoroughly enjoyed sitting down and building this together although he definitely would not have been able to do this age 4. I would recommend to others with children age 5+. 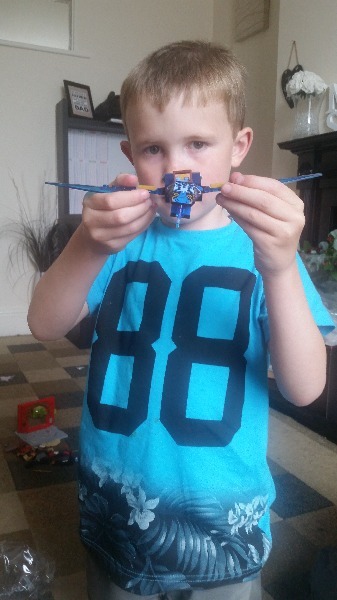 He was very excited to play with the set when finished his favourite part is - the fire, dragon and the helicopter. The set has a lot to it, so you would feel like you are getting value for money and I know he will have a lot of fun playing with it. Would definitely buy another set in the future. however she she did find fixing some of the sections together a little difficult as she found it 'too hard to push it togeather' however this was only some bits not all. the bags were easily paired with the right section of booklet. she loved all the colours and had so much fun. she has asked that I buy the friendship Lego next and can't wait to build it all. value for money and I will be purchasing on at Christmas time. 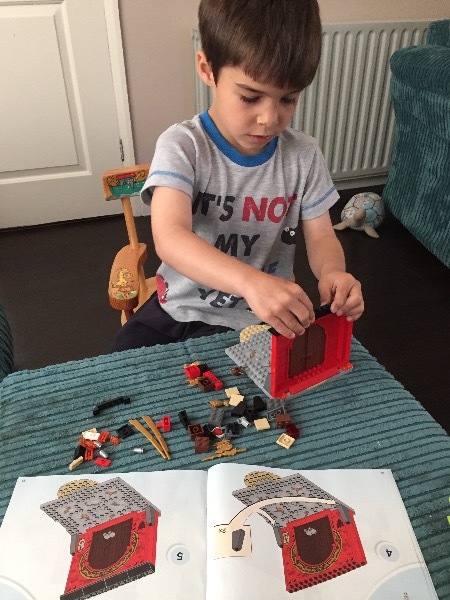 My lil boy is 7 and he loved building this lego set...He needed some help with putting the doors on...I loved that each section was in different bags and the instruction were easy to follow.. 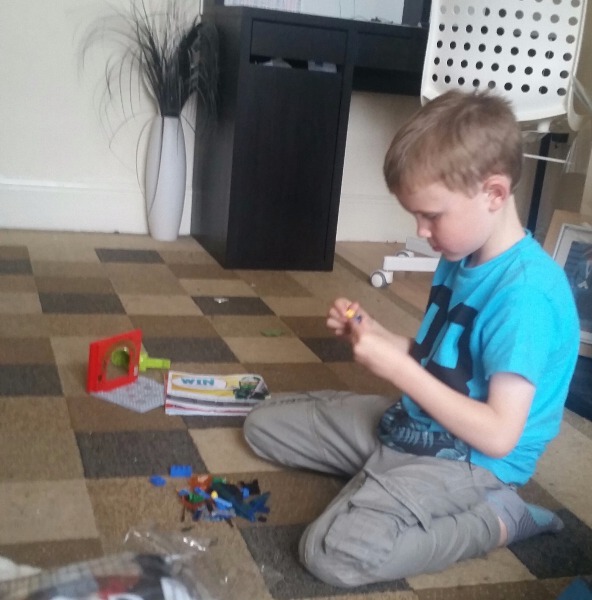 He has loved playing with the finished product and has been making extra figures to join his set..
We would defiently recommend to other children ..
My daughter is 7 and absolutely loved this lego set when she opened it up. She was so excited when I told her about it and couldn't wait to get started. She managed to build it all ok on her own, which makes it even more fun for her. 2. 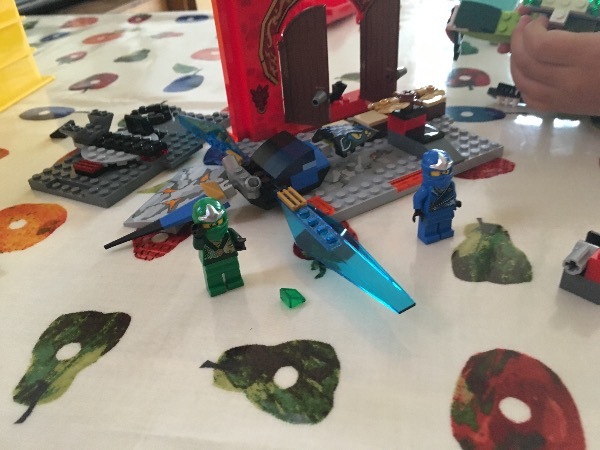 Did your child enjoy playing with the finished set? We like the easy to follow instructions, which made it easier for her to build the set all by herself. Sometimes you get instructions in things that aren't that easy for her to understand but she found this really good. I would definitely recommend this set to other parents for their children. It was very good value for money and an extremely good fun set to build. My daughter is still playing with it now and will do for a good little while. 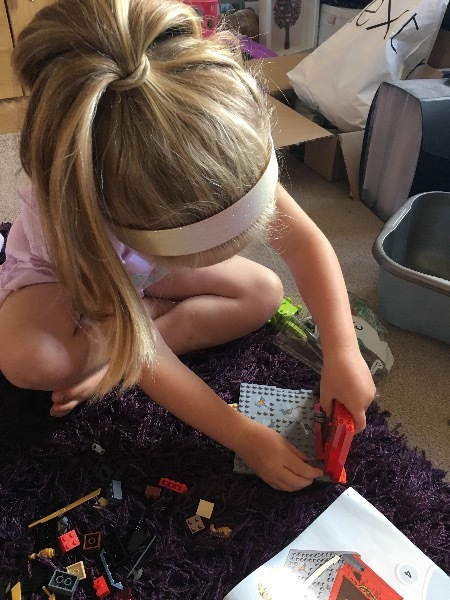 She can also mix the bits with her other lego sets and make extra bits and pieces. 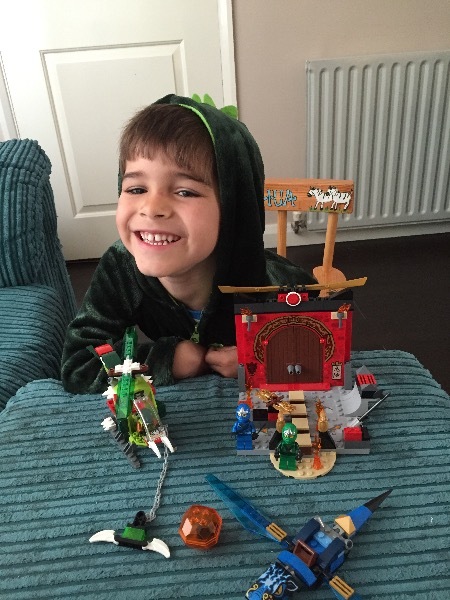 My son is 4 years old and as you can see from the pictures is a big Lego fan already! 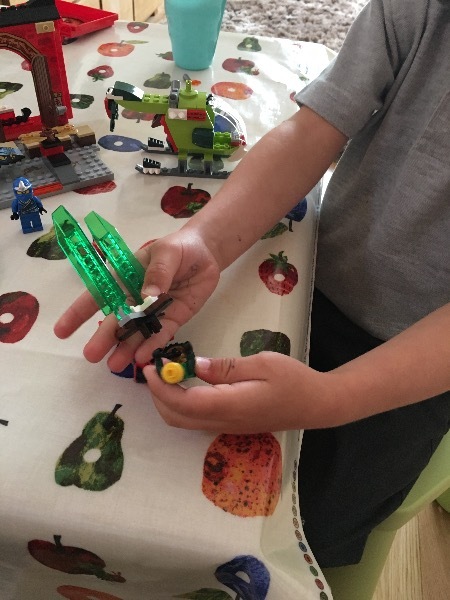 We do help him build most of the Lego sets and he puts the men together, but as this one was aimed towards his age we asked him to construct most of! He found it easy to construct the temple and men but his dad helped him more with the dragon and helicopter. he really enjoyed playing with the set, especially the dragon, and the ninjas. Also I forgot to add my son is a huge Ninjago fan and has seen basically every episode of the all the series lol (now he sounds like a TV addict lol) so he was really happy to play with the figures along with his other ninjago characters and added some motor bikes to the mix! 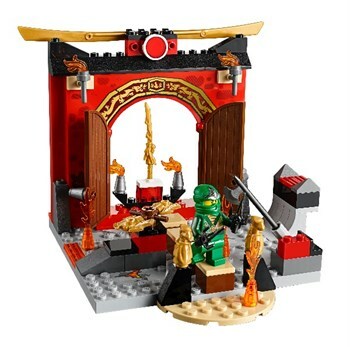 The best thing about the set is that is has a mixture of items included such as the dragon and helicopter as well as a background for the scene of their imaginary game being the temple so it really helps with their imagination. It is also very bright and engaging for a child as young as 4. 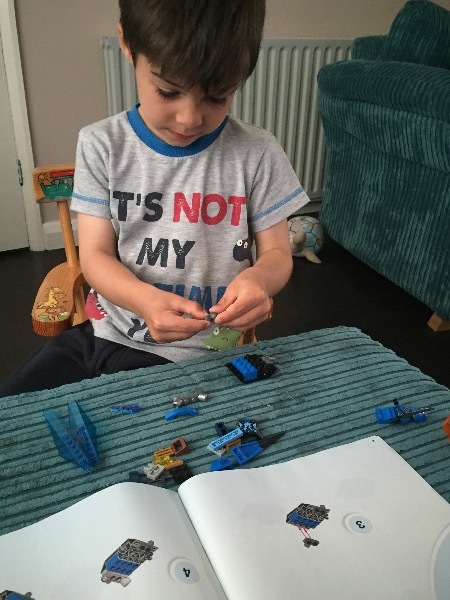 I would definitely recommend the set to other parents especially for a child who just starting to get into playing with lego because it is very easy to assemble so they can get stuck in and help the parent or if they are able to can even follow the instructions themselves. 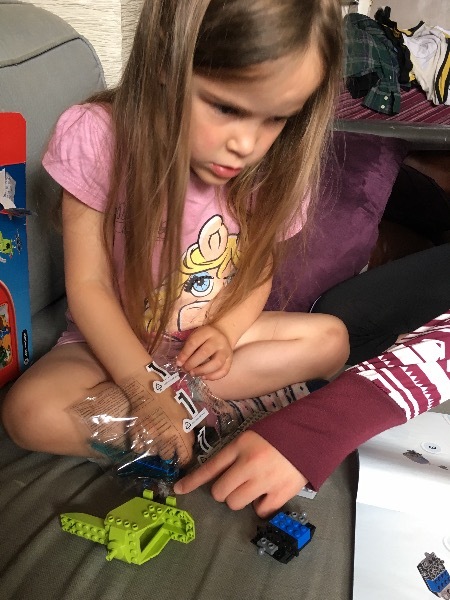 The more advanced lego sets are great but obviously difficult to assemble themselves and some kids can get very bored watching the parents put it together so lose interest. Lucky my son is happy to help out or wait but we did start off on the Lego Junior sets to begin with and they were excellent.